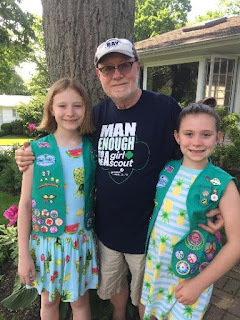 If I could name only one thing that girls learn when they’re involved with Girl Scouts, it’s that they become capable of tackling pretty much anything. With the right encouragement, guidance, training, and confidence, they grow into women who lead by example to do great things for the world. 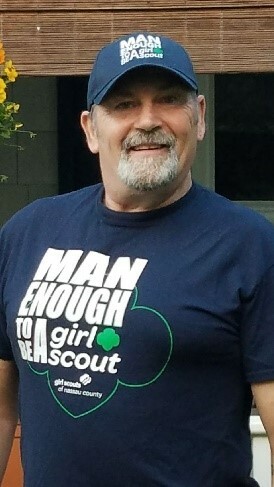 Girl Scouts is the best leadership experience for girls in the world. 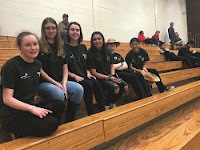 Our programs are specifically designed with girls in mind and provide opportunities that they can only get from the preeminent leadership organization for girls. 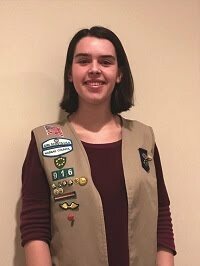 Girl Scouting bolsters the benefits of school by fostering a safe, inclusive, and girl-led environment where girls are free to practice different skills, try new things, and take on leadership positions. The fact is, most of a girl’s life is coed. The girl-only, girl-defined, and girl-led aspects of Girl Scouts are crucial for girls; the safe space that Girl Scouts offers helps them stretch beyond their limits and transfer knowledge, experiences, and skills to any environment, both now and in the future. The options for exploration and leadership are endless. Whether it is an outdoor adventure, a hands-on STEM (science, technology, engineering, and math) experience, the chance to explore issues they care about or the financial literacy skills learned in our iconic Girl Scout Cookie Program, every girl has the opportunity to take the lead. 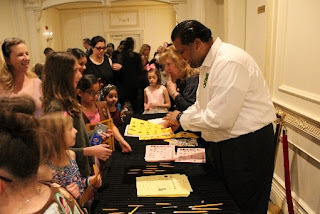 Only Girl Scouts gives girls the chance to pursue the most challenging, rewarding, and life-changing award for girls in the world: the Girl Scout Gold Award. The Gold Award requires girls to demonstrate their leadership skills by addressing a local or global community issue. With more than a century of experience, Girl Scouts brings a wealth of knowledge to programs that provide cornerstone experiences for girls that last a lifetime. Put simply, Girl Scouts works! Because without my Girl Scout background, I wouldn’t be where I am today. 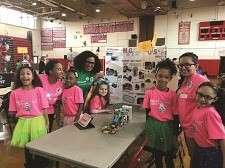 On Tuesday, February 20, Girl Scouts from Nassau County assembled at the DeMatteis School of Engineering and Applied Science at Hofstra University for Introduce a Girl to Engineering Day! The day started with a presentation on the different fields of engineering and how Hofstra helps students gain positions within companies. We learned that engineering encompasses all fields, in fact, many doctors have roots in engineering. Following the presentation, two female engineers held a forum where they spoke about their experience in the field and at work. They offered two important pieces of advice; math is important, if you don’t like math the chances of you enjoying engineering are slim and that social skills matter. Both women agreed that their social skills helped them rise in their respective companies and that being able to communicate with their team is crucial in technology careers. The final speakers were two engineering professors from Hofstra, they taught us about the logistics of bridge building, specifically suspension bridges. All of the girls at the event had the opportunity to build a suspension bridge out of masking tape and styrofoam. We conducted experiments on the best length and give of materials used in the making of our bridges and were surprised by how much weight some of our bridges could hold. Overall, we learned about working in one of the fastest growing fields from experts in the profession and we had fun!